Sheitel is darker on top! Love or Hate your wig? Feel free to contact me if you are interested in writing a review on your favorite (or most hated) sheitel! Purchasing a sheitel is a complicated and often time consuming process. It involves trips to a sheitel macher or wig shop or perhaps hours of searching for wigs online. Nearly every orthodox woman I know has been dissatisfied with at least one of her sheitels over her lifetime. It is extremely common for a kallah to hate her first sheitel for reasons which I will elaborate on. My goal is to research and educate frum married women and kallahs about sheitel options and how to go about purchasing one. With wigs ranging in price from $30 to $5000 there is A LOT of variety available. Many of us wear our sheitels every single day, whether for hashkafic reasons, family minhag, personal preference or out of necessity in order to work in a professional environment. Some of us only wear sheitels on shabbos and special occasions and some of us do not own a wig but have considered buying one for years. I will be conducting video reviews of various wig types and wig brands and the pros/cons of each. It seems every week there is a new wig or sheitel brand popping up. 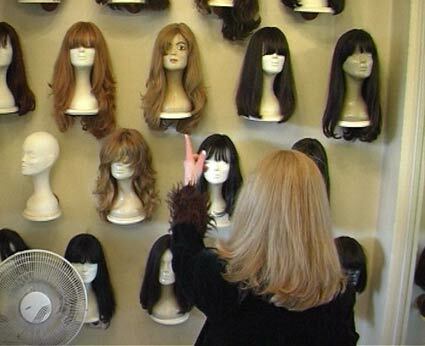 How many of these shops offer good quality wigs? Do they have customer service? Do they stand by their products? Do they offer warranties? Feel free to submit your questions to me via email at askchavi@gmail.com and I will do my best to answer them. Welcome to my blog, AskChavi! Here, I hope you will useful advice and information "covering" all things sheitel. If your question isn't answered, please feel free to contact me - your online sheitel maven!